ABDOMINAL MASSAGE - CHI NEI TSANG - LISBON CENTER - Terra Heal "wellness & health"
​Chi Nei Tsang is a Chinese term for an internal organ Chi massage which helps release stress and promotes healing by using techniques of massage directly over the navel and surrounding abdominal area where stress, tension and negative emotions accumulate and congest. In the West it was known as the second brain or Enteric nervous system and the Taoist regard as the Tan Tien. If this area is knotted up, the whole energy of the body is blocked. When this occurs, all the vital energy functions strain slowly weakening the internal organs and decreasing energy. Chi Nei Tsang massage quickly releases negative emotions, tensions and sicknesses, bringing comfort and relief to the abdomen and vital energy to the internal organs. Chi Nei Tsang is also effective in the treatment of digestive problems, such as irritable bowel syndrome and bloating and constipation. It eliminates toxins in the gastrointestinal tract and promotes lymphatic drainage. Chi, the life-force energy, moves through the body’s internal channels, nervous system, blood vessels, and lymph glands. These systems concentrate and cross paths in the abdomen which acts as their control center. Tensions, worries, and stresses of the day, month, or year accumulate there and are seldom dispersed. These disturbances can cause physical tangling and knotting of the nerves, blood vessels, and lymph nodes. The result is the gradual obstruction of energy circulation. The ancient Taoists realized that negative emotions cause serious damage to one’s health, impairing both physical and spiritual functions. They understood that each human emotion is an expression of energy and that certain emotions could indicate the negative energy behind many physical ailments. 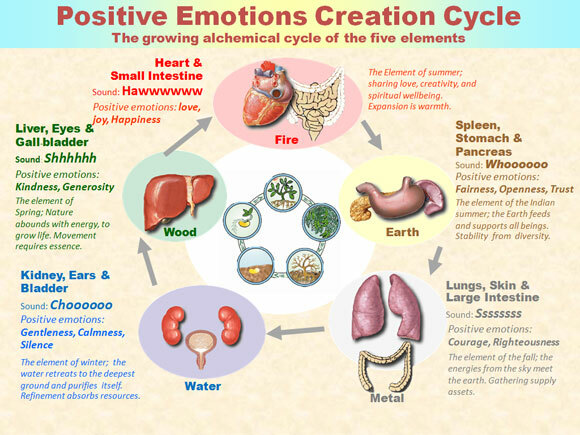 They also identified a specific cycle of relationships between the emotions and the organs. 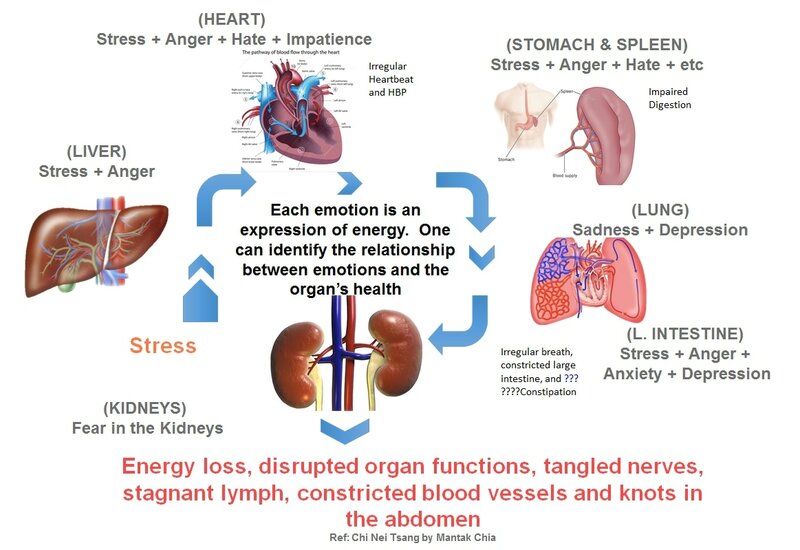 For example, the experience of a “knot” in one’s stomach indicated the presence of worry, the negative emotion that accumulates in the stomach and spleen. The Taoists discovered that most maladies could be healed once the underlying toxins and negative forces were released from the body. They developed the art of Chi Nei Tsang to recycle and transform negative energies that obstruct the internal organs and cause knots in the abdomen. Chi Nei Tsang clears out the toxins, bad emotions, and excessive heat or heat deficiencies that cause the organs to dysfunction.